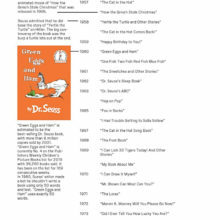 Find all the most important facts and tips about Kindle book deals in this handy overview. Each day a couple of hundreds of titles are available in the Kindle Store at deal prices. Sometimes the book is discounted for only one day, sometimes for a few days, but usually no longer than a month. The prices of the books are cut by up to 85%. However, the average savings are 50% at most. The average deal price of the Kindle book is between $1.99 and $2.99. 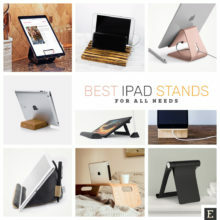 When you check out the Kindle Store, before or after buying the Kindle e-reader or Fire tablet, you may have the impression there are a lot of different Kindle deals everywhere. In fact, there are a few of them, presented in different combinations across the entire Kindle Store. 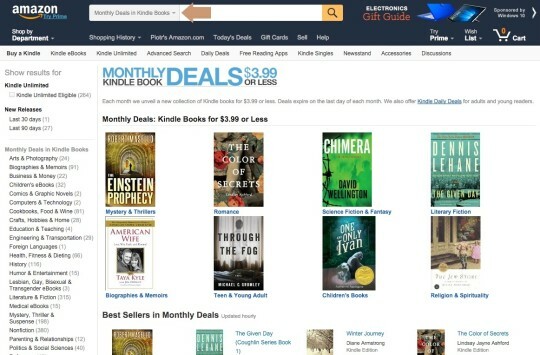 The most convenient way to find out what’s currently available at discounted prices is to visit Kindle Daily Deals page. You will see here all today’s deals, but also featured books and links to other deal sections. 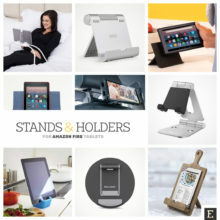 There are three things all the deals on Kindle ebooks have in common. It’s good that you know them. You’ll be able to evaluate right away the attractiveness of the deals for you. 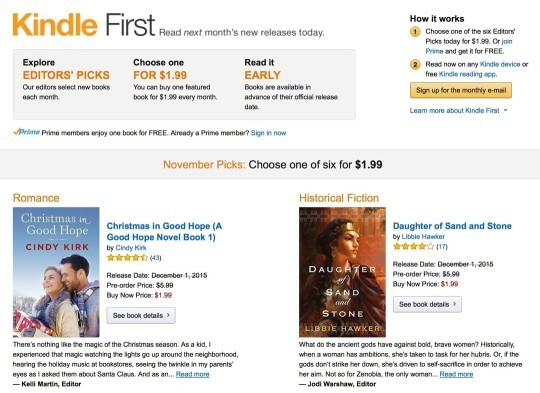 In other words, don’t expect the hot new bestsellers like Harper Lee’s Go Set a Watchman to be featured in any of the deal sections in the Kindle Store. What you can assume is that if the book comes from a major publisher such as HarperCollins or Simon & Schuster (or their divisions) and costs above $10, there is a little chance its price will ever go down to $2.99 or below. 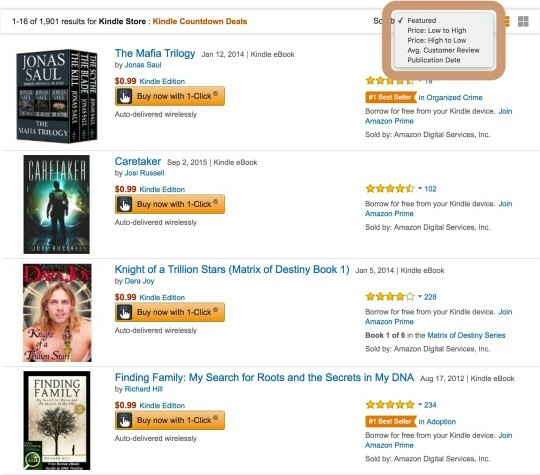 There is another reason why the hottest bestsellers are picked for Kindle deals very rarely. It’s the psychology of a deal. By offering the product at a discounted price, the seller wants the customer to visit the store – and buy other products. If the top bestseller is available at a bargain price, you will leave the store with just this one title purchased. So, are the Kindle ebook deals any good? If you read books occasionally, don’t expect the Kindle deals to become the most important way to grow your Kindle book collection. You should only pick up the books that are of real interest to you. Don’t let the price dictate you what to read. Things look different if you read a lot of books. For someone who buys several books a month, one or two bestsellers are simply not enough. Therefore, you are willing to discover new titles writer by new authors. There is a risk, however, that you won’t like them. Grabbing the book at $1.99 is a good way to explore the works of the author that is new to you. You can find a lot of such books in deal sections of the Kindle Store. 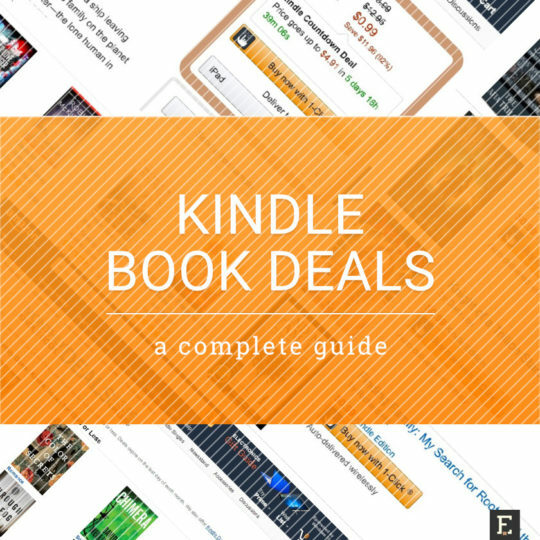 Do you have any question related to Kindle ebook deals or would like to share your experience? Leave a note in the comment section, and give our readers and us a chance to learn and discuss. 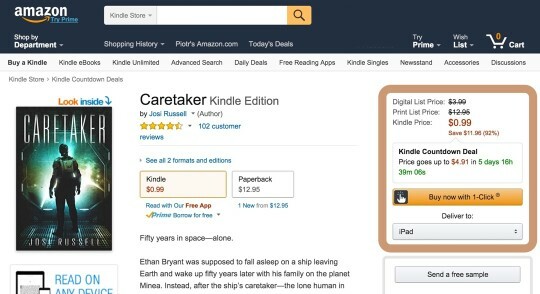 The first Kindle Daily Deal was offered on August 24, 2011. Since that time, KDD has become the most famous and popular deal section of the Kindle Store. In the first year, one book was offered every day, usually from a popular category, such as mystery, romance, or literary fiction. Since August 2012, at least four books are featured every day. The prices are usually between $0.99 and $2.99. Sometimes they are grouped by category (kids, fantasy, romance, crime, etc.). The usual savings are between 40% and 80%. As I wrote earlier, most of the Kindle Store deals feature the books published within the Amazon ecosystem. Most of these books are priced below $10, usually between $3.99 and $6.99. Therefore, the average saving is closer to %40 than to %80. I’m frequently checking the Kindle Daily Deals landing page, and I must admit it’s not my favorite deal section of the Kindle Store. For five years, I’ve checked the deal hundreds of times but bought only a few books. What you have to keep in mind is that KDD is aimed not at allowing the customers to buy attractive books at attractive prices, but at luring the customers to the store so that they would also buy other Kindle books or products from other categories. 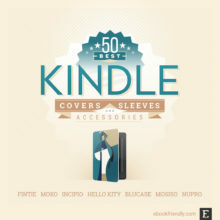 The books featured on Amazon.com Kindle Daily deal can be bought by all customers, those who live in the US, and abroad. the books may be available but not at deal prices – logged in international customers may see the deal price on KDD but when they go to the detail page, the displayed price will be regular. 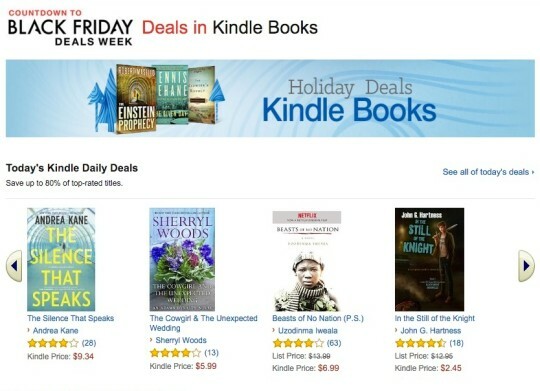 Kindle Daily Deals are not specific to the US Kindle Store. If you shop in Amazon stores localized in different countries, you may also find daily deals for Kindle ebooks. Here is the directory of Kindle book deals by country. Please note, that in different countries the deals are organized differently. For instance, in Germany you’ll find weekly and monthly deals, but no daily offers. 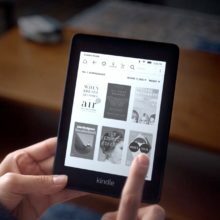 Ofertas Kindle – in Amazon.com.mx, Mexico. There are several ways to find out what are the current daily deals in the Kindle Store. 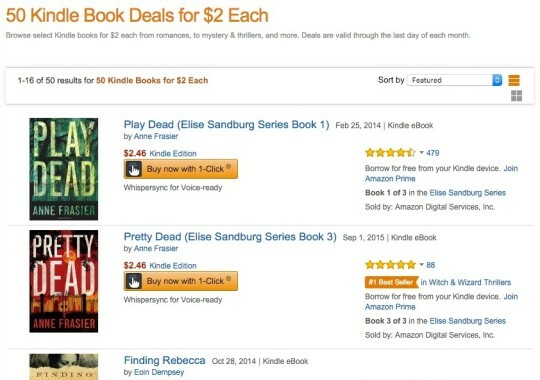 Many third-party sites offer Kindle deals, as well, but this is the topic for another post. follow @amazon on Twitter – most attractive Kindle Daily Deals are shared from this official Amazon profile. It’s my favorite way to search for discounted Kindle titles. Opposite to Kindle Daily Deals, where you should check out the offer every day if you don’t want to miss any good book, the monthly offer is valid from the first to the last day of each month. Therefore, you’ll just need to visit the Amazon store once a month to find the book worth buying. The number of featured books ranges from under 100 to over 1,000. November is usually the month with the biggest number of books. When there are 500 books or more, the section gets its own bestseller list. This is a very useful feature, as it lets find the best of the best in an instant. What’s also very useful is that monthly deals can be searched using the search box, which is set by default to narrow search results to this section only (see screenshot below). The books in Monthly Kindle Deals $3.99 or Less are selected by Amazon editors. In this section, you can find the biggest number of Kindle bestsellers. It’s also where there is the biggest number of discounted books published outside the Amazon ecosystem. Only one-fourth of the books featured as monthly deals are Kindle Unlimited eligible – that means published inside Amazon. The monthly deals in the Amazon.com store are available for both US and international customers. However, some geographical restrictions may apply to users shopping from outside the US. The book may not be available for sale or its price on a detail page will be higher than stated in the monthly deals section. The similar deal category can be found in the UK Amazon store. The section is called Kindle Monthly Deals, and the books cost £1.99 each. The new offer is revealed at 12:00 am on the first Tuesday of the month and expires at 11:59 pm on the first Monday of the following month. subscribe to bestsellers in Monthly Kindle Deals $3.99 or Less – this bestseller list, just like any other bestseller list on Amazon, offers an RSS feed of the items that enter the top 10. The feed is being updated a couple of times a day. You can grab it here: RSS feed of Monthly Kindle Deals $3.99 or Less. Kindle Countdown Deals is the largest single directory of the Kindle ebooks that are currently discounted. 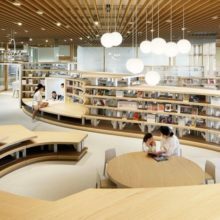 The catalog includes hundreds or thousands of books, depending on the time of the year. 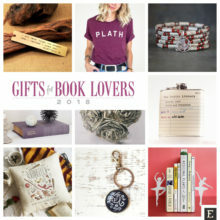 The closer it is to Christmas, the more books are offered at reduced prices. All the titles are exclusive to Amazon. More specifically, they are books sold by authors using Amazon’s self-publishing platform called Kindle Direct Publishing. In other words, these deals are not offered by Amazon editors, but by self-published authors themselves. Why “Countdown Deals?” It’s because of the mechanism of a sale. The detail page of the book included in the Countdown Deals features a countdown clock that shows how much time there is left until the price goes up. Usually, the price goes up gradually. In the beginning, it’s set to $0.99, in the next few days it’s raised to $1.99, then to $2.99, and then to its original level. The books included in the Countdown Deals are not that attractive as the monthly deals. It can be easily explained. 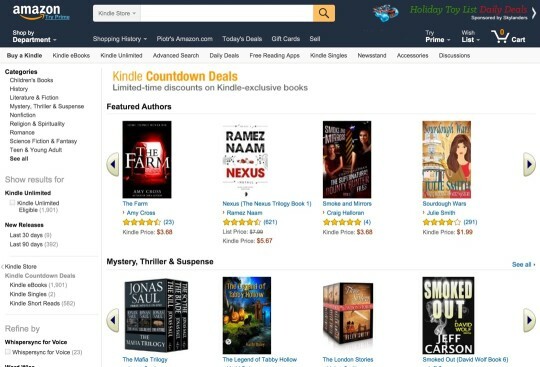 Authors are using the Countdown Deals to promote the books, gather ratings, reviews, in order to jump up in the Kindle Store bestseller rankings. Therefore, you will rarely find here the books with a large number of reviews, but the ratings are usually positive. In the left sidebar, you will be able to narrow down the results to a specific category. From what I’ve seen, in the Countdown Deals you’ll find the books from literally every Kindle Store category. What’s more, you can also learn here which Kindle Singles and Kindle Short Reads have reduced prices. The Kindle Countdown Deals home page starts with featured sections (popular authors or genres), but if you scroll down, you’ll reach the full list of titles. From here you can sort the titles by price or average review (see screenshot below). Kindle Countdown Deals are offered on Amazon.com website. Both US and foreign users are eligible to buy the books at discounted prices. However, there may be some geographic restrictions set by authors. In this case, the international user may not find the book in the Kindle Countdown Deals section, or won’t be able to buy it. If you shop in Amazon.co.uk, you will also be able to benefit from the deals offered by self-publishers. Here is the homepage of Kindle Countdown Deals UK. There is no way to subscribe by email, so there is only one way left: to check out Kindle Countdown Deals home page from time to time. I usually check out the Countdown Deals at the beginning of each month, together with Monthly Kindle Deals $3.99 or Less. The deals listed above are specific to the Kindle Store, but you can also find Kindle deals elsewhere on Amazon website. 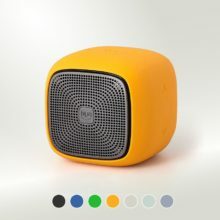 As you probably know, every day Amazon Gold Box lists hundreds of deals on products from several categories. One of the categories – Digital Deals – includes digital items at reduced prices, such as songs, videos, games – and ebooks. 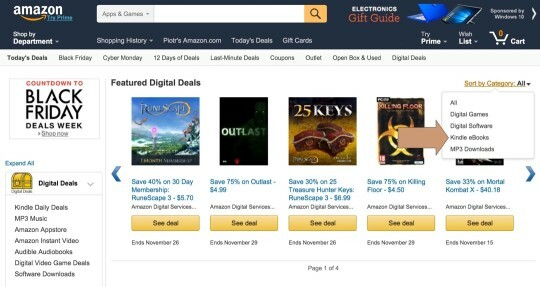 Simply, go to Digital Deals home page, and find on the right side the drop-down menu in the “Featured Digital Deals” section. From the drop-down menu select “Kindle ebooks” to check out what’s currently available (see screenshot below). 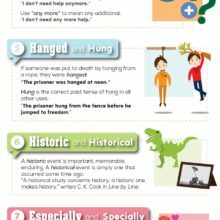 Usually, no more than ten titles are listed. 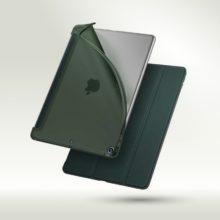 They are different from books included in the daily deals or monthly deals. When it comes to timeframe, the Kindle ebooks included in Digital Deals are valid for a couple of days, just like any other item featured in Amazon Gold Box. An important thing to mention is that in the same section you can also find the deals for Audible audiobooks. Scroll down the page to reveal the section devoted to Audible deals. You’ll also find here links to Audible Audiobooks homepage. follow Amazon Gold Box deals via RSS channel – this is probably the most popular way to get updated with all that’s new in the Gold Box. The major benefit of the RSS is that, unlike an email that is being sent once a day, you will get the new deal to RSS as it happens. Here is the RSS feed to grab. Kindle First is the least known of the Kindle deals. However, the deal is worth checking. You can access the books exclusive to Kindle Store, and ahead of the others. Each month, Amazon editors select a few books. 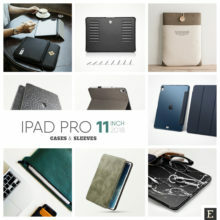 Users can pick up one of them for $1.99. The biggest advantage of Kindle First is that the selected books are available before their official release dates. Each of these books will be launched during the current month. Not every Amazon customer has access to Kindle First. You will need to sign up separately to the Kindle First newsletter. By doing this, you’ll become eligible to purchase a Kindle First title at a reduced price. The newly released set of books will be sent to you by email at the beginning of each month. Kindle First is most useful for Amazon Prime members. When you join Prime, you won’t pay $1.99 for the selected book. You will pick it up for free. In Amazon.com, Kindle First is available only for US customers. The deal is also available for UK customers shopping on Amazon.co.uk. Kindle First UK lets buy one book a month for £0.99. UK Amazon Prime get it for free. This section lists books that appear in daily or monthly deals. So, this is not a separate deal, but rather an another way to explore the existing ones. 50 Kindle Book Deals for 2 Each features books from popular categories: mystery & thrillers, romance, and literary fiction. Usually, entire book series are featured here, so if you want to collect all the volumes from your favorite sci-fi saga or crime novel series, the price of under $2 for each title is pretty attractive. From time to time, Amazon includes the section in the Kindle Daily Deals or temporary deals. Otherwise, it’s rather hard to find the section in the Kindle Store, unless you have it bookmarked in your browser. The offer is being changed every month, what is also a proof the section is another way to explore Monthly Kindle Deals $3.99 or Less. I haven’t found an email subscription, so if you want to keep track of what’s new, you can add the bookmark to 50 Kindle Book Deals for $2 Each in your browser. If you know of any other way to get notified of this deal section, please leave a hint in the comments below. All the deals listed above are ongoing ones. When you visit any of the deal pages, you should be able to see the current offer. Any of the Kindle deals that are offered as a part of the temporary promotions will be included in the Kindle Daily Deals section. You will also be able to find them listed on Amazon Gold Box. If you subscribe to Kindle Monthly Delivers, you’ll most probably get notified of these temporary deals as well. As I mentioned above, the best way to explore Kindle ebook deals is to visit frequently Kindle Daily Deals. However, some deals, naming only Kindle First, are not featured here. For your convenience, I’ve put together all the deals below. If you are planning to check them out quite often, bookmark the pages in your browser for quick access. 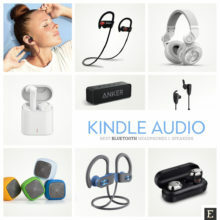 Digital Deals – a good way to check out the deals for Audible audiobooks, plus there are a few Kindle ebooks as well. 50 Kindle Book Deals for $2 Each – select Kindle books from popular categories are available at reduced prices. Want to get more posts like this? Make sure to subscribe by RSS or email. Let’s also connect on Facebook, Twitter, and Pinterest. 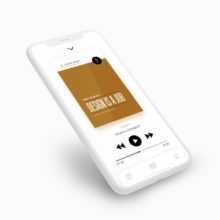 A perfect audiobook app – what features should it offer? After testing several audiobook apps, for both iOS and Android, we’ve come up with a list of features a perfect one should offer. The 2018 Kindle Paperwhite 4 comes with six months of free Kindle Unlimited. You can redeem the offer even if you’re already subscribed.